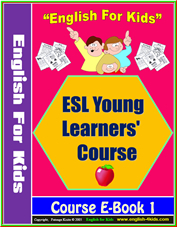 English for Kids - Book 1 Unit 2 - Name - What's your name? This unit offers lesson plan resources for teaching kids how to say their names. The resources include: a suggested lesson plan, Powerpoint presentations, Flashcards, Video Slideshow, PDF Worksheets and more. There are two presentations here. You can use them to present and teach kids how to say their their names. Powerpoint 1:Use this ppt with a projector or computer to present the language of the lesson. Powerpoint printable: This PDF version of the PPT is an option to those who teach where there are no computers or projectors. You can simply print and use them as some sort of flashcards. What's your name?- Worksheet1 : Use this worksheet to practice handwriting, reading and reinforcing the words learnt. What's your name ? worksheet 2: Use this worksheet to practice writing the words learnt. Worksheet 1 and 2 combined: Practice writing the phrases learnt today. Puppets 1 - What's your name? Puppets 2 - How are you?